Croaky has been telling me his colleagues often had lunch at Jamie Italian because the food is healthy and tasty, so yesterday we decided to try it out for dinner. We headed down to the outlet at Vivocity on a Saturday night. The restaurant appeared packed with people, however we didn't have to wait for a table since we arrived past 9 pm. The lighting was rather dim and it took us a long time to read the menu. 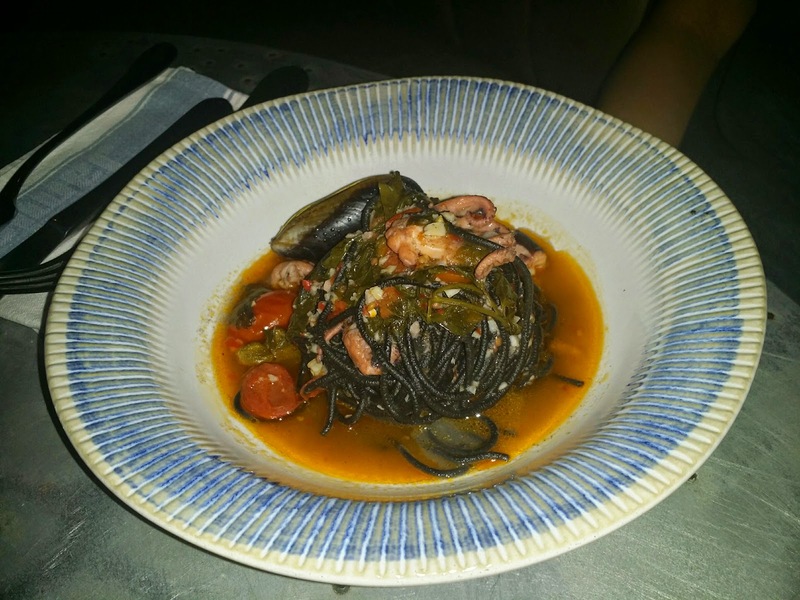 I ordered a small prawn linguine and he ordered a black squid ink pasta with flash fried Asian greens. During the order, Croaky asked me; "sure you want a small size pasta?". Hmm... I thought small would be good since it was getting late and I didn't want to stuff myself. But when the portion came, I was quite disappointed. It was a tiny serving fit for a midget. 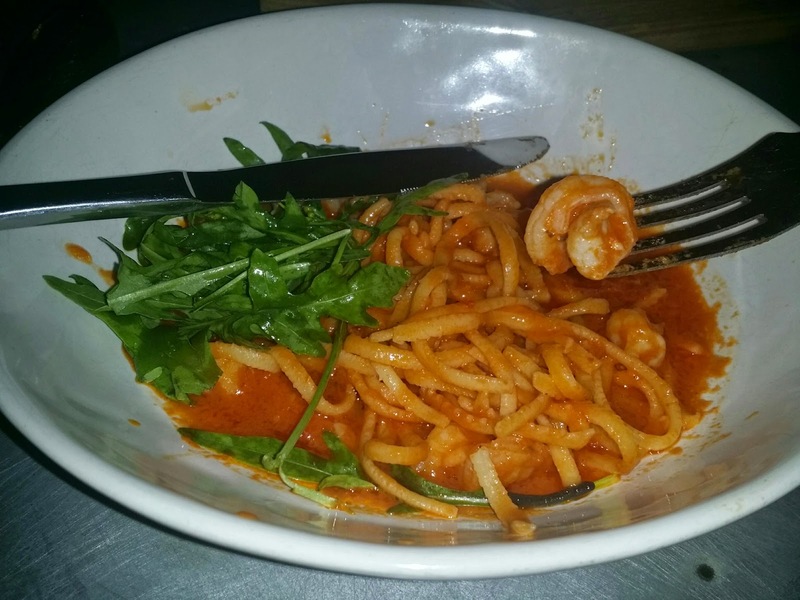 The prawn linguine cost $17! And the prawns were chopped in tiny pieces (check out the photo below). We shook out heads when we saw the flash fried Asian greens... 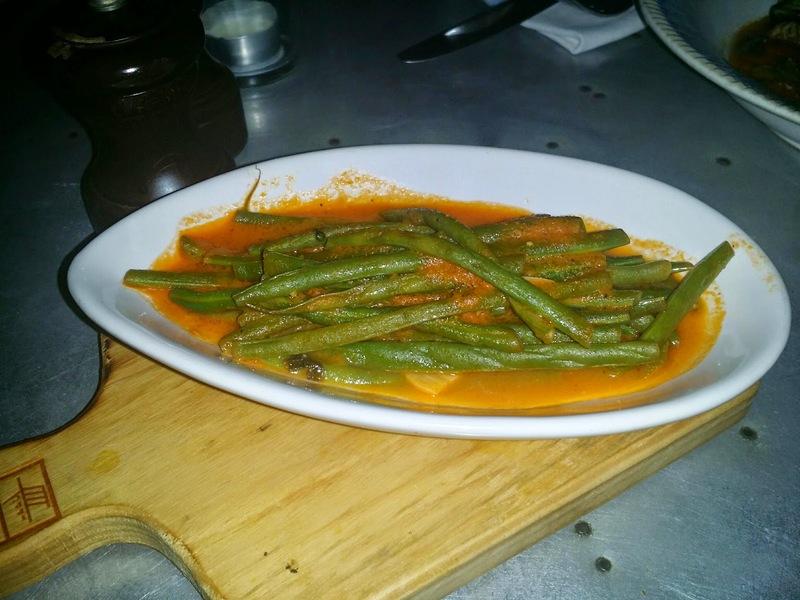 It was a measly plate of long beans that cost $7.50. We ended our dinner with a half empty stomach and went to eat dessert somewhere else. Verdict: Sauce is tasty. Pasta was cooked al dente. But portion was too small for its price. And place was too dim for our liking.